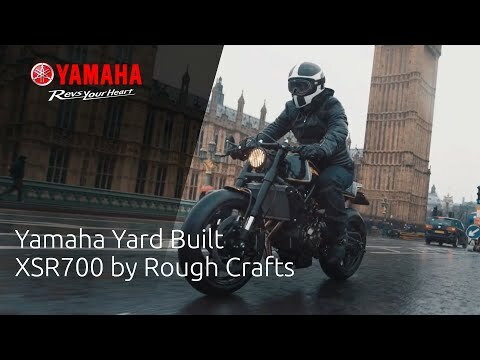 Yamaha's Yard Built Returns to Taiwan for the Rough Crafts Experience. Lining up to kick-off 2017 in true custom style, Yamaha’s Yard Built programme returns to the workshops of master Taiwanese builder Winston Yeh of Rough Crafts fame. 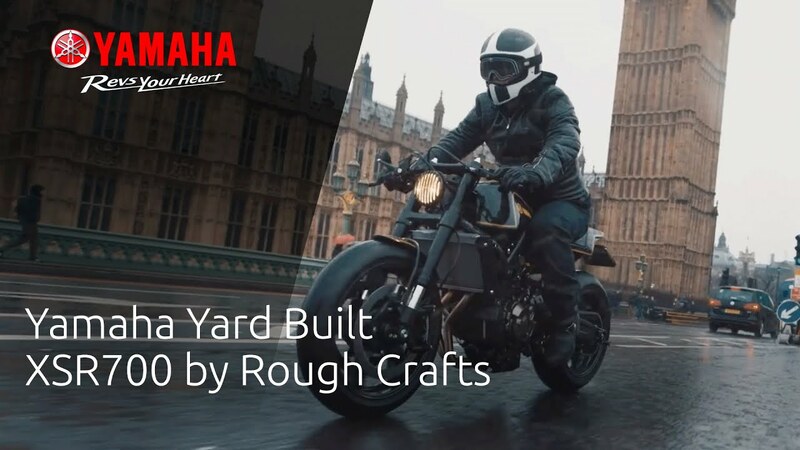 Having set a high level of expectation following his impressive build of the XJR1300, The Guerilla Four, in 2015, Yamaha chose Rough Crafts for the first custom build of this year with the Sport Heritage range middleweight champion XSR700 as a base. With no cutting or welding to the frame Winston was free to work his signature style magic on the punchy, mid-range XSR700. The result is not one, but two masterpieces. The simple-to-change kits transform the XSR700 in under an hour between a café racer style street machine, ‘The Corsa Scorcher’ and a dirt track ready scrambler style bike, ‘The Soil Scorpion’. "The XSR was an amazing base to start with. I love the tubular frame of the 700, and the power to weight ratio is perfect for a motorcycle." The cafe racer version of the build features ultra lightweight carbon fibre wheels from Rotobox and clip-ons from Gilles Tooling, an Akrapovič titanium tail pipe for the YZF-R1 wraps up the performance side. The ‘Faster XSR’ body kit itself was made with a full carbon fibre mono body with a smaller aluminium tank underneath, fully bolt-on without any modification, fabricated by MS Pro. The detail on the Corsa Scorcher café racer is outstanding, with a Rough Crafts custom header on the exhaust. The rear brake caliper is standard XSR with a Beringer disc set up.. A Wukawa Industry sprocket runs the rear, with Gilles Tooling rear sets and MS Pro foot pegs. MS Pro controls keep everything on point on the bars, next to Rough Crafts custom grips and Rough Crafts custom Fin Style Risers. There’s more signature in-house work with the Rough Crafts Grill type headlight, fuel cap and of course the carbon body unit. Last but not least Rough Crafts velocity stacks set off the motor itself. The Soil Scorpion transformation sees the Beringer brake set up retained on the Wukawa Industry forged wheels. The new riding position is helped by Rough Crafts signature Fighter Bars and MS Pro controls. A full XSR standard rear brake set up remains.